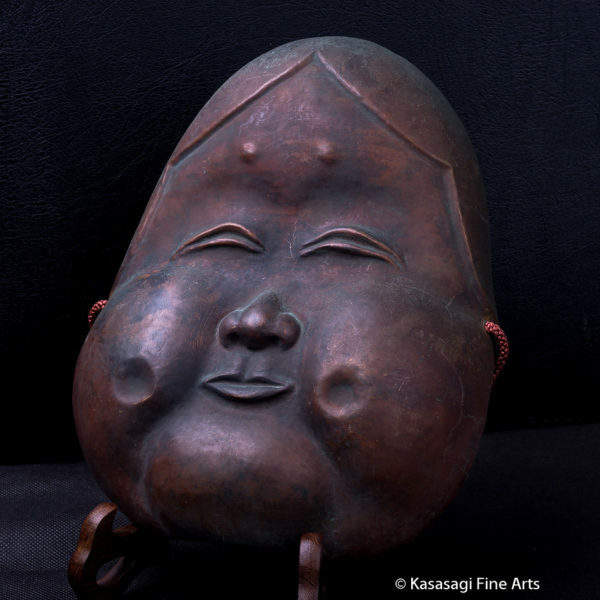 An Antique Signed Copper Noh Theatre Mask of “Otafuku” which also translates as Happy Homely Woman. Rare and hand crafted and signed from the mid Meiji to Early Showa Era (1890’s – 1920’s). 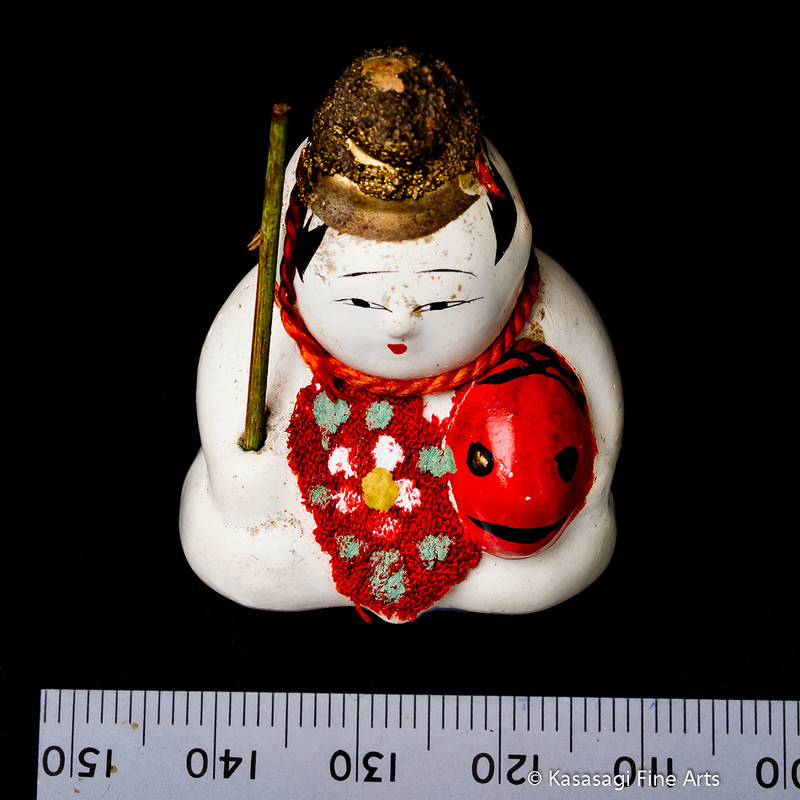 The engraved seal on the back reads “Kiyama Hikaru-saku” and translates as Made by Kiyama Hikaru. A rich patina on the copper with some scratches and minor dents. The mask is in excellent condition for its age. Also known as Uzumi or Okame. 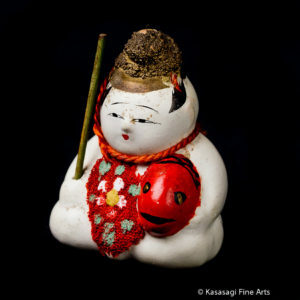 Otafuku is the name of the female half of a traditional Japanese Kyogen Theatre pair and is considered a happy satisfied woman as well as the goddess of mirth. Dimensions of Mask 26 cm Height and Weight approximately 300 grams. The Stand is not included with the mask. Shipping is Standard via Australia Post with tracking and insurance and is approximately 8 business days.